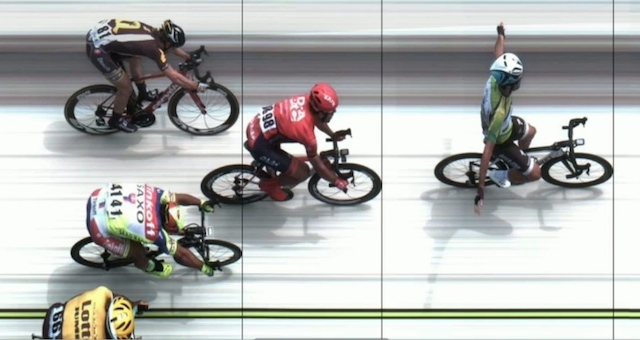 Two seconds behind at the start of the final stage turns into one second after the intermediate sprint time bonuses. As such, it must be solved in the last full-tilt sprint to the finish. And so it is, by the very narrowest of margins, all coming down to less than the width of a road tire. 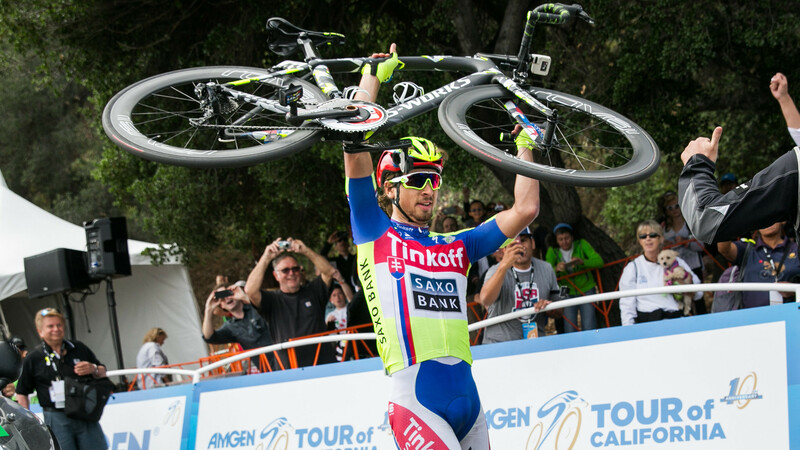 In the closest victory in the history of this tour, thanks to a four-second time bonus for finishing the day in third (narrowly enough), the great Peter Sagan wins the 2015 Amgen Tour of California!